We’ve over 20 years experience working with some of the world’s largest multi-nationals, most important groups, family offices and individuals. Our proven global network of experienced security advisors and operatives guarantees the best service to protect your personal interests; across cultures and time zones. Based in Germany. At home in the world. 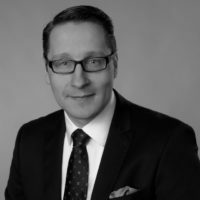 Sven Leidel is a former banker, studied Industrial Management in Hamburg, was in the military police and is now active in various national and international security organizations and associations, in an advisory or executive function. He is a specialist lecturer on Travel Security Management, as well as the special topic “Protection of Exposed Individuals.” Sven Leidel has extensive expertise from over 20 years of security industry and professional experience. His past operational area does cover all of Europe, North and Latin America, and most parts of Asia. At Privatimus GmbH, he is responsible for the entire DACH+ region (Germany, Austria, Switzerland and Luxembourg), as well as the Anglo-American region. 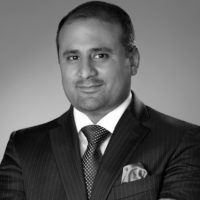 Zeeshan Nasir gained 15+ years security experience by providing global operational security to his exclusive clientele, as well as being a personal security advisor to high net worth individuals. His past theater of operations includes all of Europe, North Africa, as well as Central and South Asia, and the Middle East. He is a well-known expert for Risk and Threat Assessments and individual discreet protection strategies. At Privatimus GmbH he is responsible for all of Asia, Africa and the DACH+ Region. 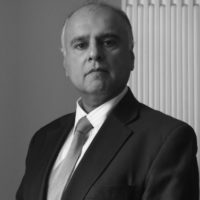 Dr. Afzal Ashraf (QCVS, BSc, MA, PhD, CEng, FCMI) is a former British Royal Air Force Group Captain. He has comprehensive operational experience from several foreign assignments including Afghanistan and Iraq. His diverse career included positions in the British Foreign and Commonwealth Office, the Centre for the Study of Terrorism and Political Violence (CSTPV) and the UK Government Counter Terrorism Centre. His current main focus is the security and risk consulting (including cyber threats), as well as acting as a Consultant Fellow for the Royal United Services Institute (RUSI) in London. At RUSI he is responsible for advising governments on international diplomacy and capacity building in this area. He is Director of Privatimus UK Ltd, based in London. Former Group Chief Security Officer (CSO) Thomas Tidiks introduced and managed corporate security for two Global Fortune 500 companies. At Privatimus he will further develop the Corporate Security Support services. As the global Head of Group Security and Group CSO Mr. Tidiks was in charge for almost 200 FTE in five global regions. For Henkel group in Dusseldorf, Germany he was their first CSO where he implemented, among others, the global crisis management. At Capital One Financial HQ in McLean, VA he built the threat management function and managed the executive protection team. As Corporate Security Coordinator for the Dow Chemical Company in Midland, MI he was in charge for the global secure assets work process as well as travel security. Before joining Dow in Stade, Germany as their site security manager he served as deputy chief of police of a police-station south-west of Hamburg, Germany. Mr. Tidiks holds a diploma (BA) in administrative sciences, he is a board Certified Protection Professional (CPP), EHS Systems Auditor, and Six Sigma Blackbelt. He attended the security executive training at Wharton School, PA. Mr. Tidiks is member of ISMA, member and past president of the CSO Roundtable (aka CSO Center) and a founding member of the German Federal Police (BKA) Global Player Initiative. Bruno Mortier is a Certified Security Specialist (ESI, USA) and Certified Open Source Intelligence Master RCP (Reuser Information Services, UK). He is a former member of the Belgian Gendarmerie in Antwerp (Belgium), where his duties included counter-terrorism and intelligence. Mr. Mortier is a security expert with more than 30 years of professional experience; specialising in Open Source Risk Intelligence, fraud investigations and data collection. In addition he has a comprehensive expertise in the areas of executive protection, logistic security, counter-intelligence and operational security concepts and strategies. His area of operations to date includes the DACH+ Region, Benelux and North America. At Privatimus GmbH he is responsible for OSRINT®. As a security consultant, Oliver Whisonant has been active for companies and high net worth private clients across the United States and Central America for more than 12 years. His expertise is providing information security, employee background checks, business- and estate security, planning and conducting low profile protective operations, and managing international and domestic travel for the clients and their families. He is a graduate of the renowned Executive Security Training by ESI in Colorado, which he completed with honors as a Certified Protection Specialist (C.P.S.) in 2005. Over the past years, he has become increasingly involved in open source intelligence gathering and its related disciplines and techniques. He is a US and German citizen and at Privatimus GmbH he is responsible for OSRINT®. Andreas Kiefer is a former member of the German Armed Forces, with 15+ years security experience. As a former Security Officer for a large Canadian Corporation, he was responsible for Executive Protection, as well as all security aspects for the board of directors; including securing private homes and vacation residences. His professional expertise includes alarm- and surveillance systems, access control, tracking and GPS / satellite localisation technology, as well as electronic counter measures. At Privatimus GmbH he is responsible for the technical division. 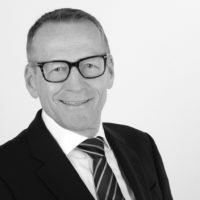 Since 1981, Karl-Heinz Hollung has been in the security industry, holding several management functions in multinational corporations, as well as in small & midsize enterprises. His main responsibility was the management of strategically and operational projects with the main focus on security systems & technology. He is a well-known and respected member of several national and international associations, such as VfS, ZVEI, CoESS and ASIS International. At Privatimus GmbH he supports, as an external partner, with his comprehensive know-how and experience the technical division; including alarm systems and intruder protection, access control and surveillance technology.